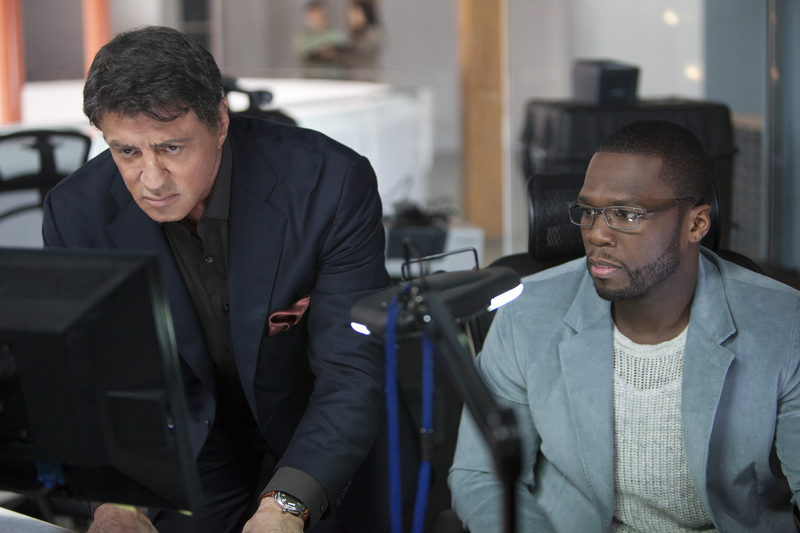 Ray Breslin (Sylvester Stallone) and his business partner Lester Clark (Vincent D’Onofrio) run a company which tests prisons all across America. Ray is put into various prisons and exposes their weaknesses and escapes, thus helping future prisons to be designed so that they are escape proof. Ray is asked by the CIA to test out a new super max prison. The prison is designed to hold the most dangerous terrorists still waiting to be interrogated by the government. Ray agrees to take the job,and within a day is bound and gagged to be transported to the new prison. 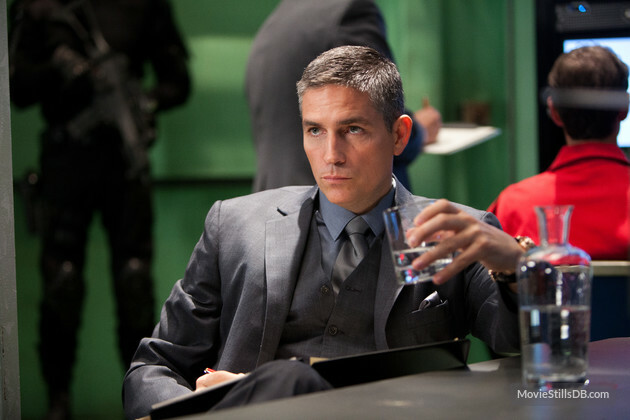 There Ray meets the sadistic Warden Hobbes (Jim Caviezel), who duly informs Ray that he will not be leaving the prison. Ray is told that someone has paid good money to ensure he never sees the light of day again. 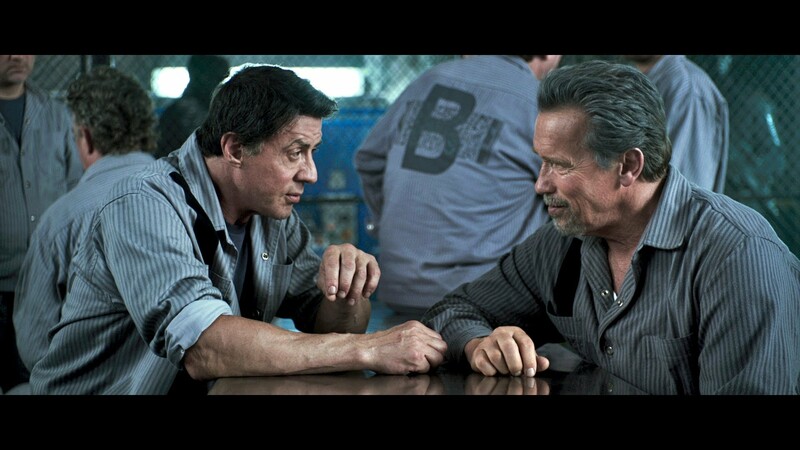 Whilst in prison, Ray meets a man called Rottmayer (Arnold Schwarzenegger) who tells Ray that Hobbes has been keeping him in prison as Rottmayer has information on the whereabouts of someone who could rock the financial world. Together Ray and Rottmayer hatch a plan to escape the prison. 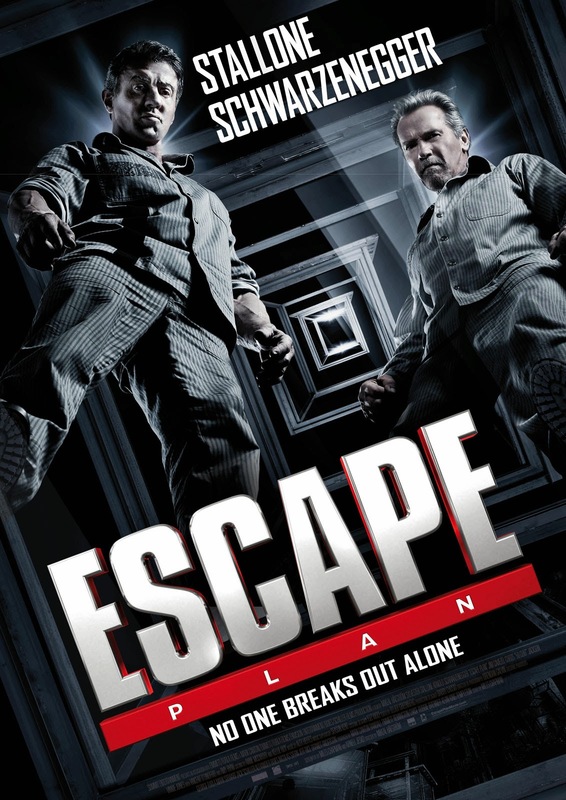 Seeking the help of other prisoners and the prison doctor, Dr. Kyrie (Sam Neill), they come up with a way to escape and bring the prison down. There are bit parts for Vinnie Jones who plays a sadistic prison guard, and also Curtis ’50 Cent’ Jackson who plays a computer tech, looking to help find out where Ray has been taken. The story is not nearly as ingenious as it thinks it is. It has some clever moments, like when Ray escapes the prison at the start of the movie, but for the most part it feels very tame. 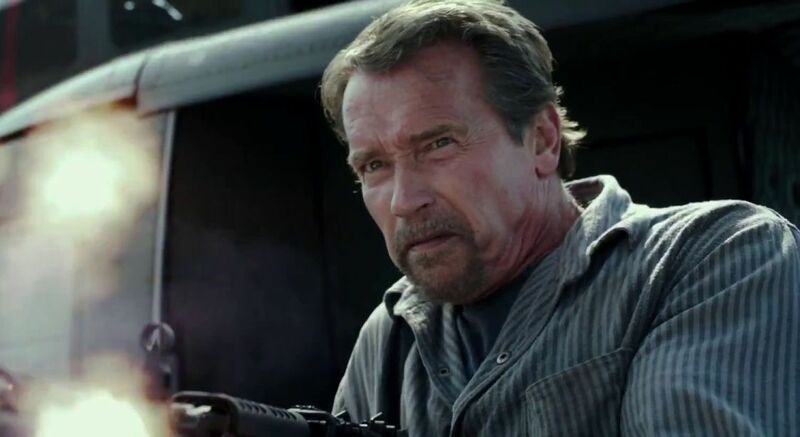 Arnie is still finding his feet after being out of the acting game for so long, and looks uncomfortable in some scenes. Stallone is also a bit wooden, but it’s Stallone so he gets a pass. Jim Caviezel is wonderfully as the hammy almost camp Warden Hobbes. He delivers his lines with understated menace and seems to be having a blast. Folks like 50 Cent and Vincent D’Onofrio feel wasted in the small roles they have, and don’t really have much to do. There is also the obligatory scene in which Arnie holds a massive machine gun, which happens so often it feels like it’s a clause in his contract. The action is so-so, but the setting means there’s not as much as you’d expect when two action titans meet. Overall however it is worth a watch, and is perfect beer and pizza fodder. Waiting for your word on Lockout and End of Watch whenever you get a chance. Keep em coming mate.